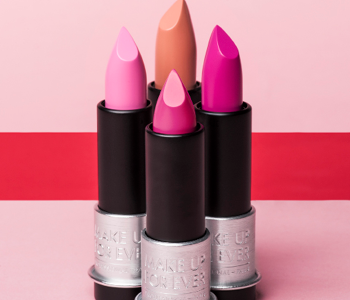 Featuring a collection of bright, vibrant and demure shades for all skin tones, MAKE UP FOR EVER’s collection of pink hues will have you spoilt for choice. No matter your undertone, this pretty-in-pink collection simplifies finding the perfect cotton candy, fuchsia or salmon shade, taking you one step closer to finding your perfect lip and cheek colour. Discover the professional formulas of the MAKE UP FOR EVER pink collection today.